Secondary tumours. Coloured X-ray of secondary tumours (metastases, orange) of the vertebrae (spine). 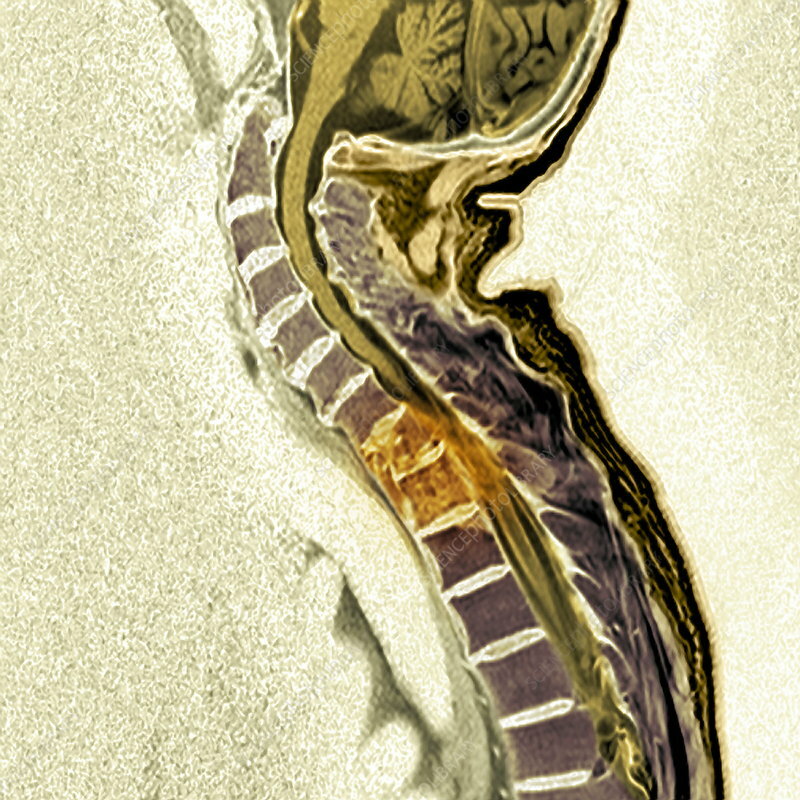 The spinal cord (thick yellow line) is being compressed by the tumour, which can result in loss of bowel or bladder function and a decrease in sensation and movement. Other symptoms include pain (most common) and fractures. The patient has lung cancer and the tumours have spread from the lungs via the bloodstream. Lung cancer with bone metastases is one of the most aggresive tumours and the prognosis is poor, with an average survival rate of 6 months following diagnosis.